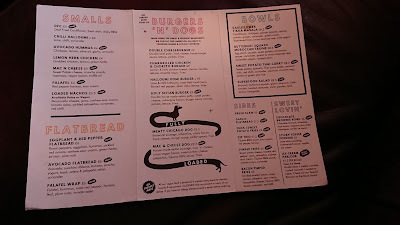 Category: Bar with diner style food. Opening hours: Mon-Sat 4pm-late Sun 3pm-late. 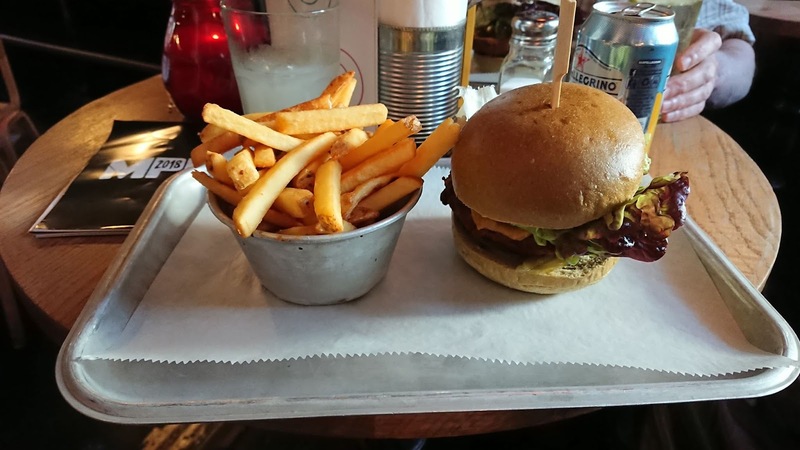 Food served until 10pm. Veganness: Serves meat. Sundays are fully vegan. 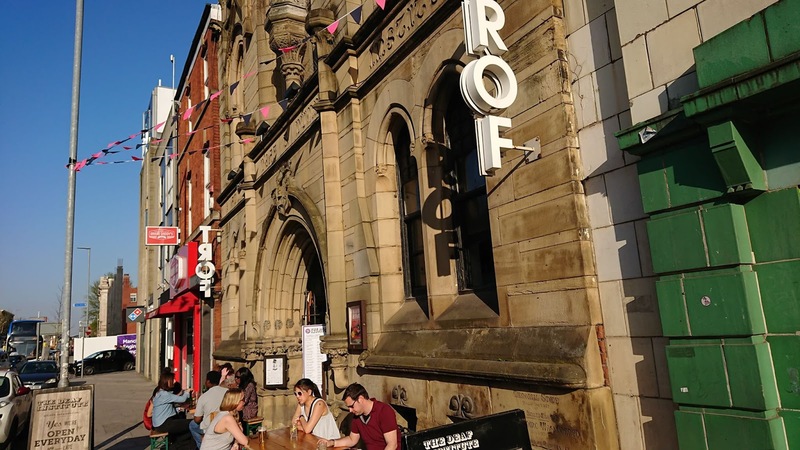 The Deaf Institute is a music venue and bar located near Manchester Metropolitan University, just off Oxford Road, less than a 10 minute walk from Oxford Road train station. Arguably more known for their music venue situated on the first floor, the Deaf Institute serves some of the best diner style vegan food in Manchester. 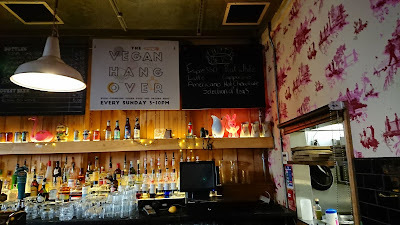 Around half of their menu is now vegan, and on Sunday's they host the Vegan Hangover, where their menu is fully vegan. To start off their menu, they have a few smaller dishes. They join one of the ever growing number of places offering deep fried cauliflower meant to mock popcorn chicken. These things are highly addictive. You've been warned. 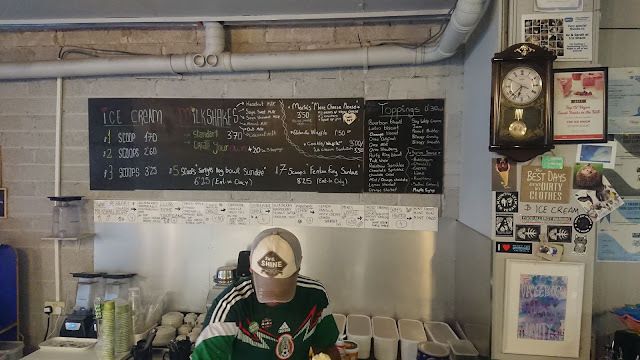 You can also get mac n cheese, loaded nachos, avocado hummus and falafel as one of their smaller dishes. Next they offer a selection of flatbreads and wraps, all of which are vegan. Falafel wrap, avocado flatbread and the eggplant & red pepper flatbread are all available. Their bowls of curries and salads are all also vegan. These are the options that you might want to try to be more healthy and avoid the junk food. They include cauliflower tikka masala, sweet potato thai curry, butternut squash Moroccan tagine and a superfood salad. 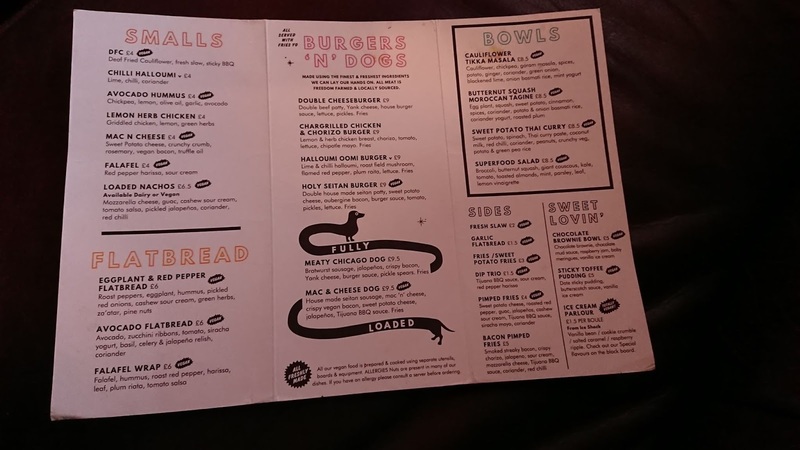 They have a range of burgers and hotdogs available but during the week only 2 of them are vegan - the mac n cheese dog and the holy seitan burger. Both of these are amazing. On Sundays there is a wider range available. 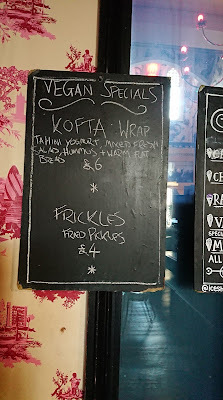 The Deaf Institute always has vegan specials as well which change on a regular basis so keep an eye on the specials board. The Deaf Institute has to be one of my favourite places for vegan desserts. 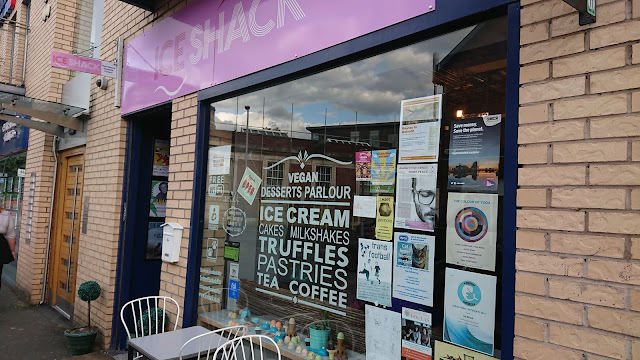 You can get vegan ice cream made by the wonderful vegan dessert parlour Ice Shack (see our review of Ice Shack here), a chocolate brownie bowl and sticky toffee pudding. On Sundays they have an extended selection of vegan desserts worth checking out including vegan meringue! 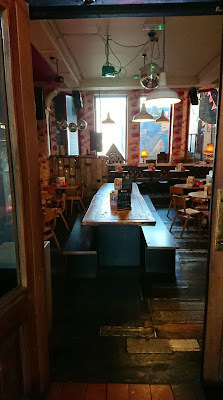 The Deaf Institute is fairly reasonably priced for a proper meal out, is open every afternoon and evening. Upstairs there are gigs or club nights on most days of the week. It doesn't really affect noise on the ground floor, but it can sometimes be busy in the bar leading up to the doors for gigs opening (usually around 7:30). 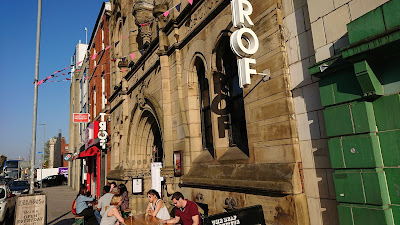 They even have a few seats outside, so if it's sunny why not enjoy your food and drink in the sun? 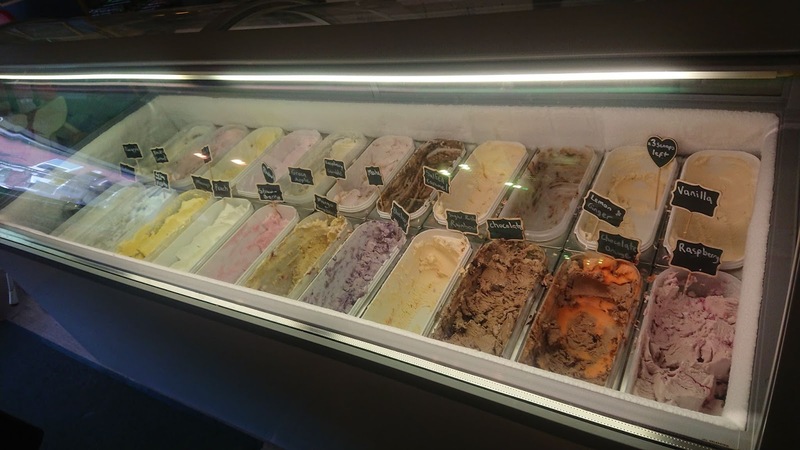 Ice Shack is Manchester's dedicated vegan ice cream parlour & cake shop (self titled desserts parlour), based in Withington. Opening in 2016, originally Ice Shack wasn't that vegan. 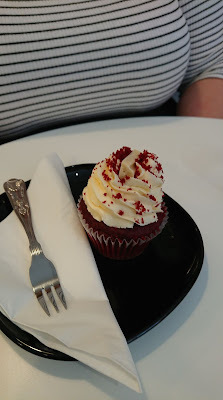 They started off with a vegan range, but the majority of their cakes and ice creams were not vegan, and none of their vegan ice creams were homemade. 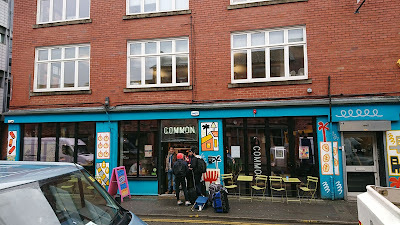 Fast forward a year to mid-2017 and the owner of Ice Shack had turned vegan and had seen the demand in Manchester for vegan treats. Ice Shack turned vegan, the first dedicated vegan desserts parlour in the North of England. Ice Shack is more than just somewhere to go and stuff your face with cake and ice cream. Ice Shack is a place to hang out, to play board games, to meet other vegans. Ice Shack regularly hold events such as curry nights, board games nights and even athletic events such as 5 a side football or circuit training (although not in the actual shop). Or you could just stuff yourself with cake and ice cream. There are 3 counters at Ice Shack. 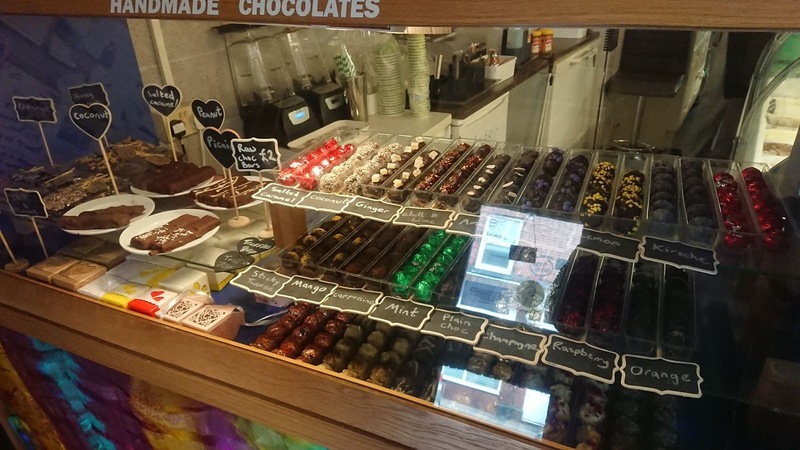 The first you see as you enter has a range of vegan truffles and chocolates. The second has a huge range of vegan ice creams. 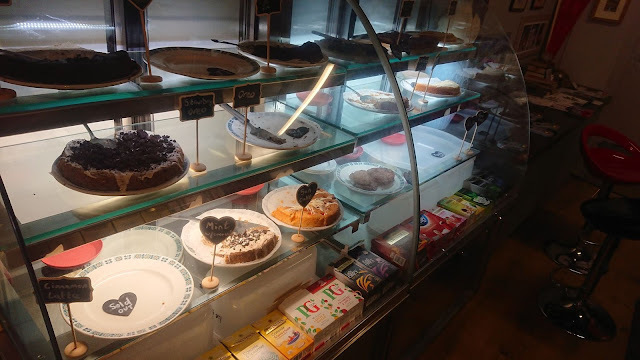 The third has a selection of vegan cakes. Behind the counters you can see a menu which includes a manor of milkshakes, sundaes, a huge list of ice cream toppings & syrups and various specials. If, as a vegan, you have ever missed going into ice cream shops and being able to get multiple flavours, Ice Shack is definitely for you. From traditional flavours to modern favourites, Ice Shack does arguably the best homemade vegan ice cream you can get in Manchester. And their milkshakes are just superb. You can get to Ice Shack by bus, getting on any of the busses to Didsbury along the student corridor. If you really want to avoid the bus, it's a 15 minutes walk from Burton Road tram stop or about 18 minutes walk from Mauldeth Road train station. 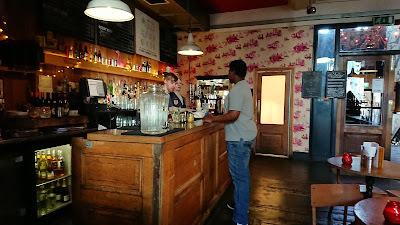 Or if you really want to try their ice creams without travelling that distance, you can try a limited range at The Deaf Institute near MMU next to Oxford Road. This is the very first time we've covered an area outside of Manchester, but long term plan for this website is to cover all areas of Greater Manchester. 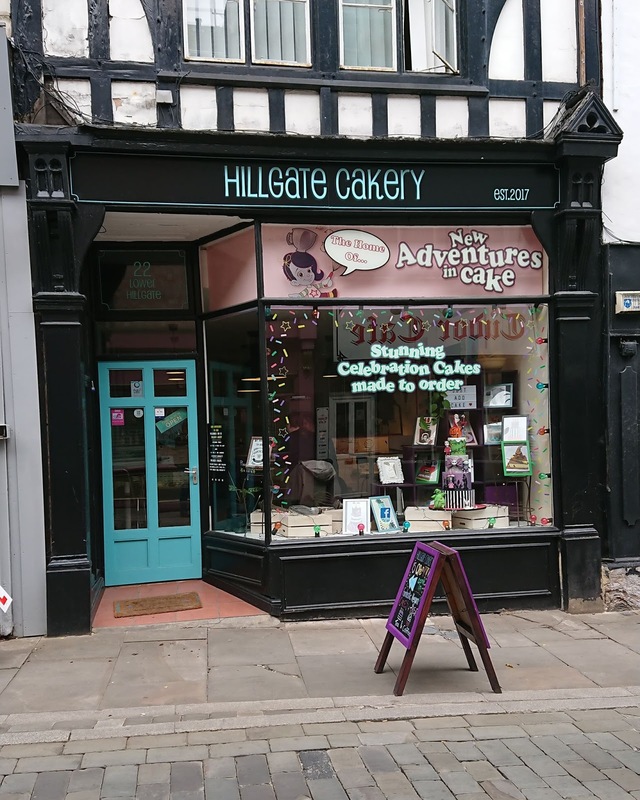 This time we're covering Hillgate Cakery in Stockport. And boy is it worth a visit! 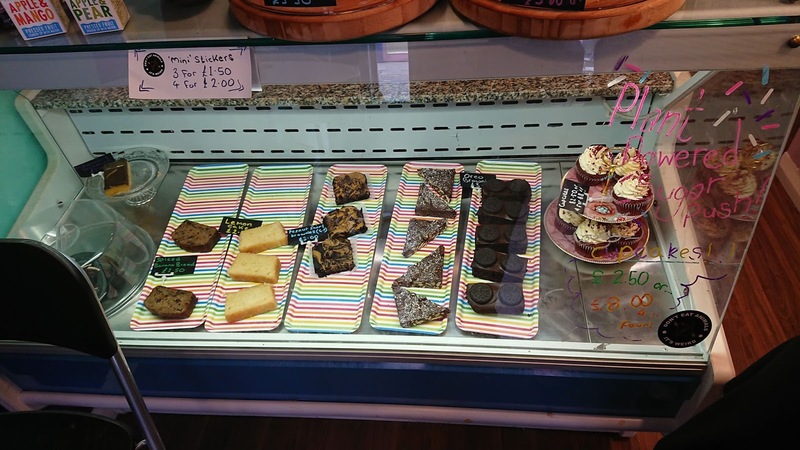 Founded in 2017, Hillgate Cakery is a fully vegan cake shop in Stockport town centre. 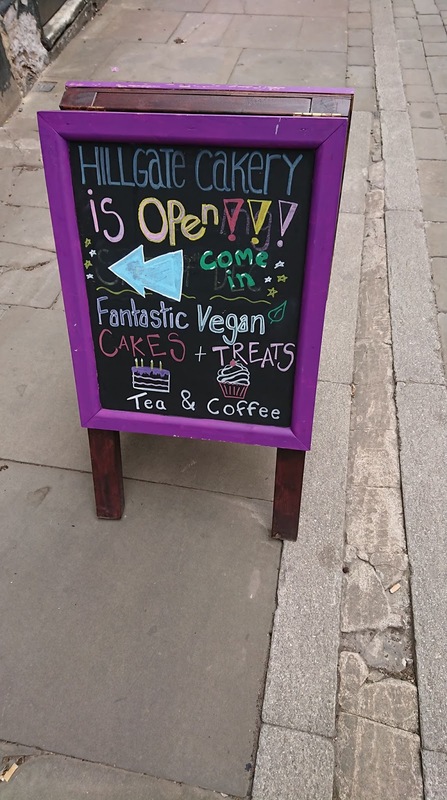 Following the recent closure of Teatime Collective, Hillgate Cakery is the only fully vegan dedicated cake shop in all of Greater Manchester. Recently I was thinking about what I would recommend as the best vegan cake available in the area, especially given that Teatime is no longer open. I came to the conclusion that Hillgate Cakery is the best vegan cake available anywhere in Greater Manchester. I know there will be some of you who live in Manchester or a more northern suburb thinking "but it's all the way in Stockport". Stockport is less than 10 minutes on the train from Piccadilly, and then Hillgate Cakery is only a 10 minute walk from Stockport train station. Or if you have a bus pass then Hillgate Cakery is a 10 minute walk from Stockport bus station. It is more than worth the occasional visit to Stockport for. 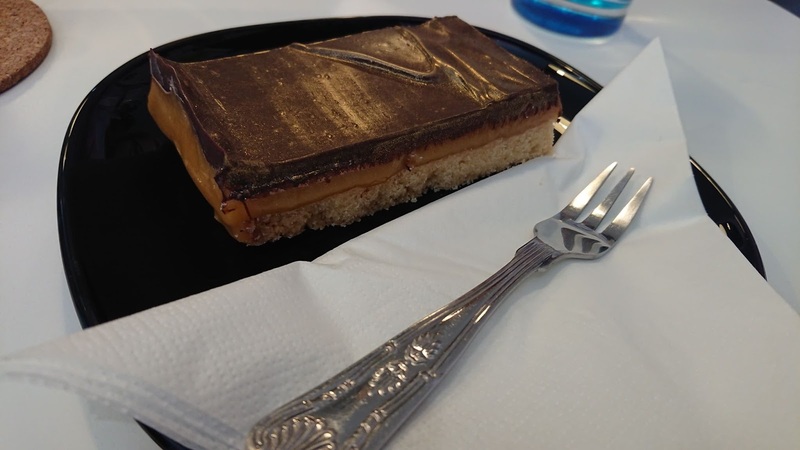 The cakery offers a wide range of sponge cakes ranging from classics like victoria sponge to modern popular flavours like biscoff, various cupcakes, brownies and a variety of small cakes such as tiffin or millionaires shortbread, which you can see above.You can also get a range of soft drinks, coffees, teas, smoothies and milkshakes. Hillgate also offer cakes to order. If you need a cake for a birthday party or a wedding or any occasion, Hillgate Cakery have got you covered. The shop sits somewhere around 20 people and there is always a table available. 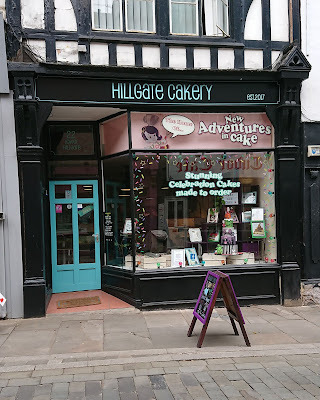 I believe the long term plan for Hillgate Cakery is to expand and open a cafe serving hot vegan food, which is much needed in Stockport. 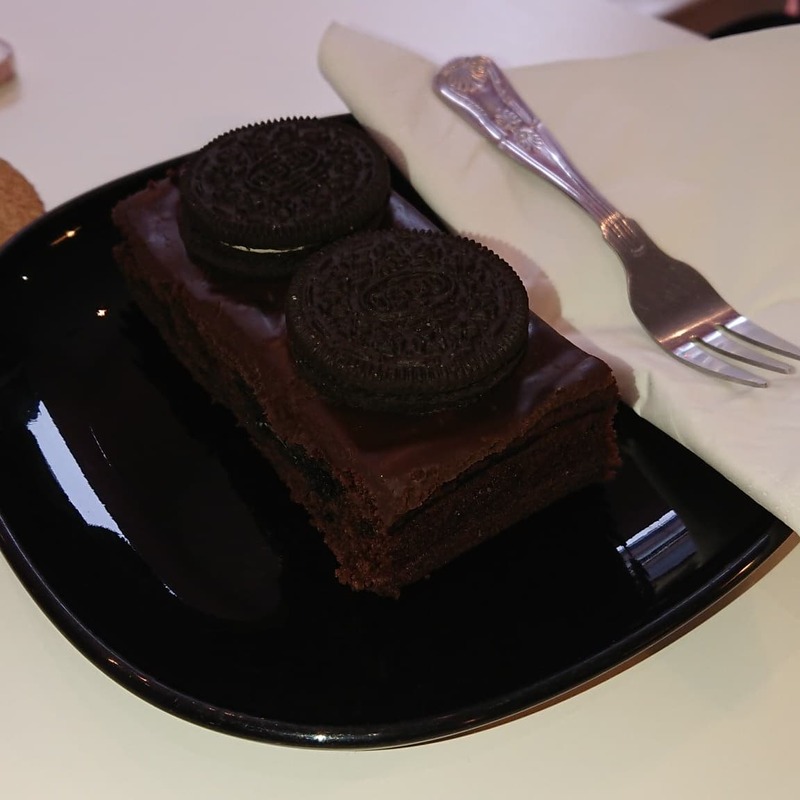 For now though, go and visit Hillgate Cakery for the best vegan cake in all of Greater Manchester. You will not be disappointed.